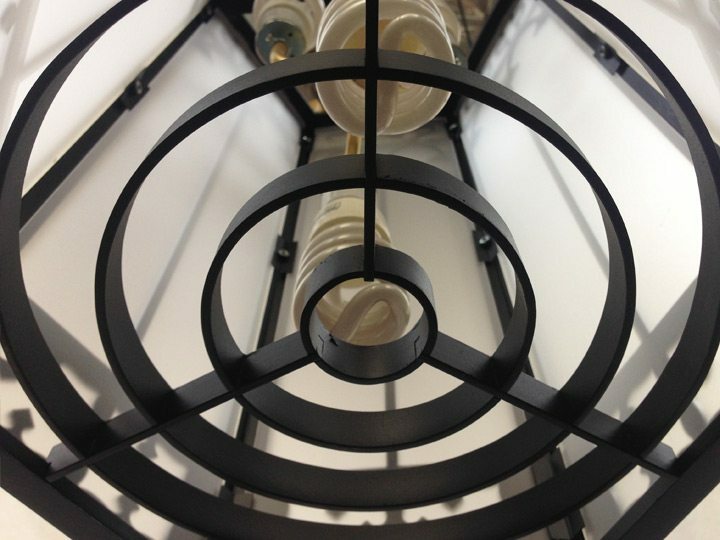 Grand Light designed and manufactured custom pendant lights replicating the style of an existing historic interior fixture. 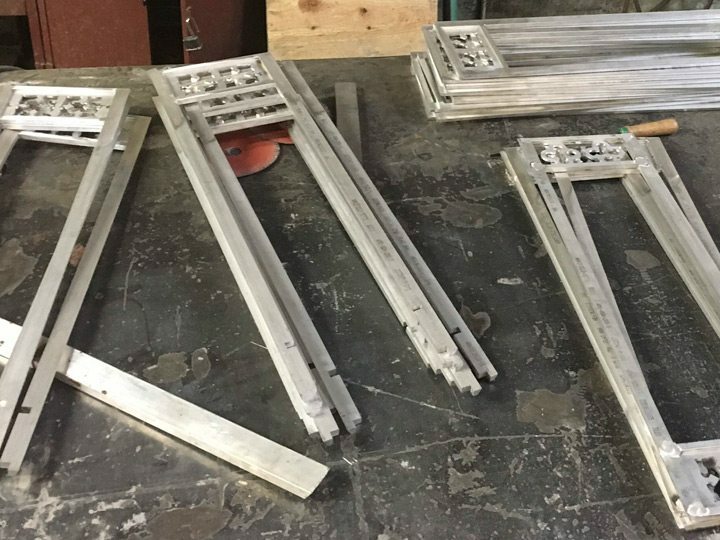 The pendants were constructed with aluminum and include six custom acrylic panels fitted by Grand Light technicians to each custom pendant. 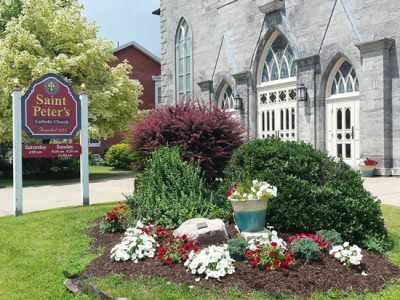 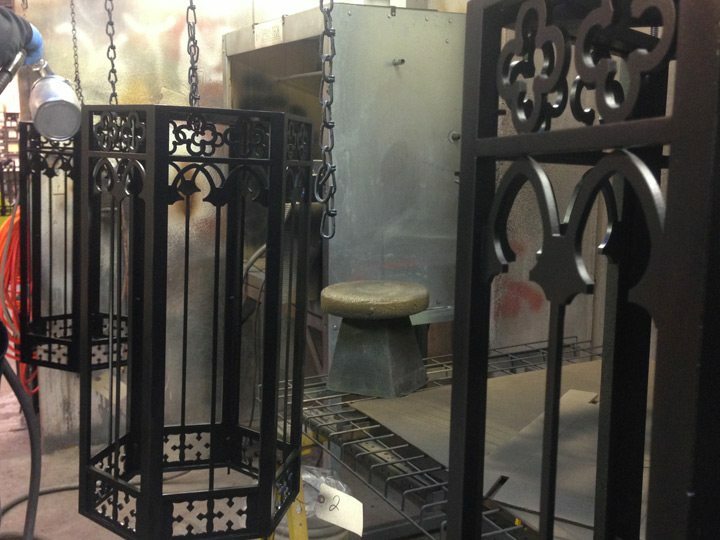 An extended life black finish was applied incorporating multiple applications of primer, top coats, and protective layers of UV resistant lacquer. 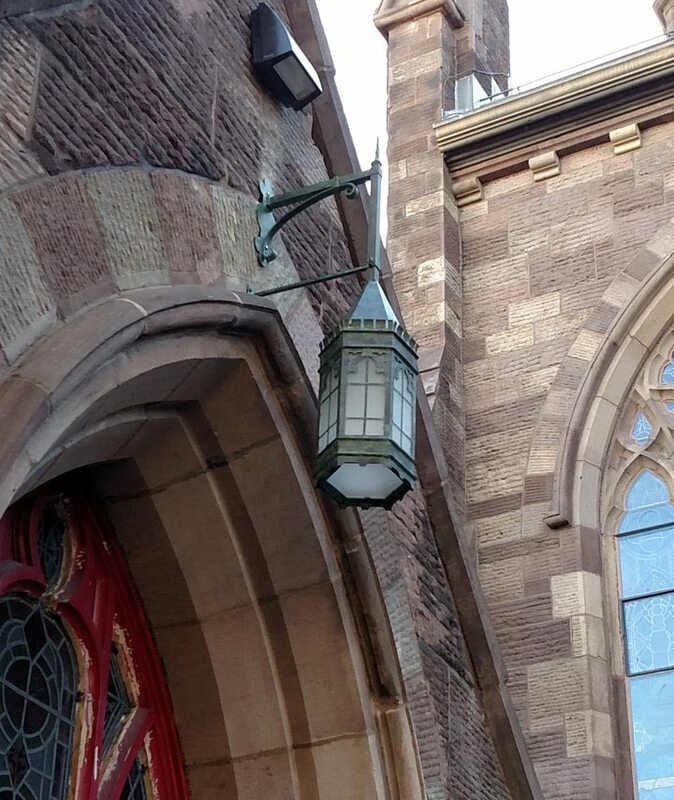 This project also included the replication of a missing exterior fixture. 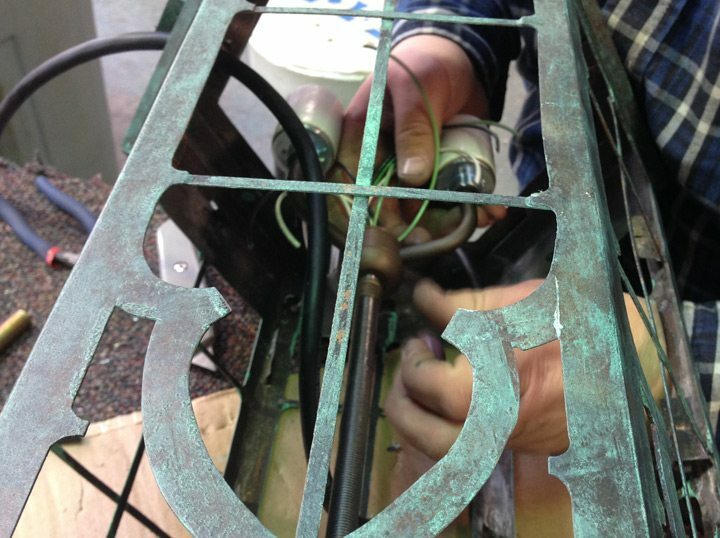 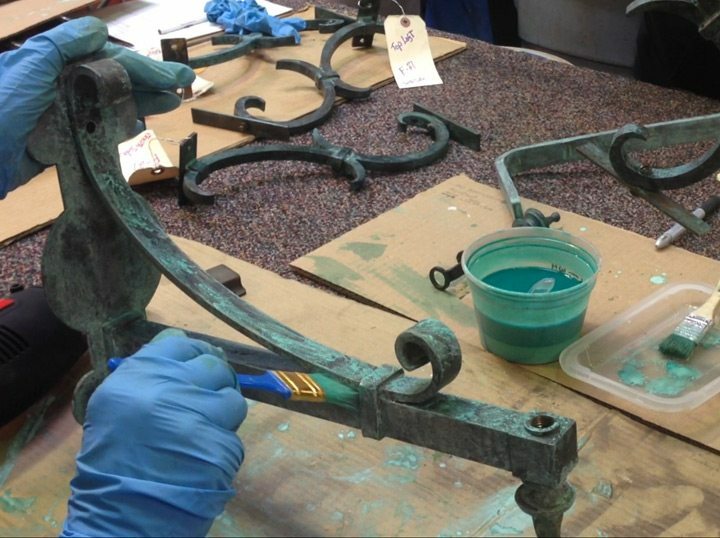 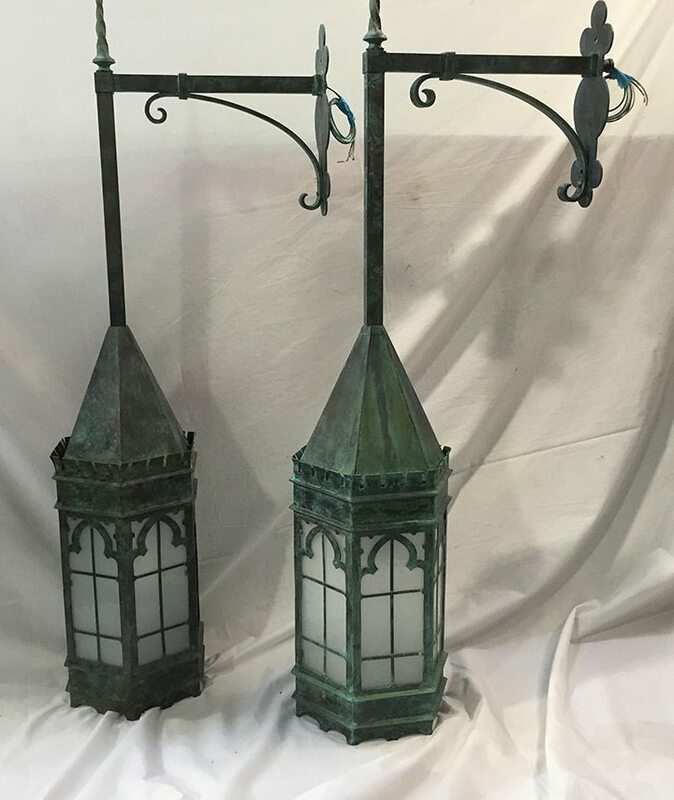 The original wall mounted exterior frame and bracket featured intricate detailing and a beautiful verdigris patina, all of which were accurately reproduced on the replicated fixture. 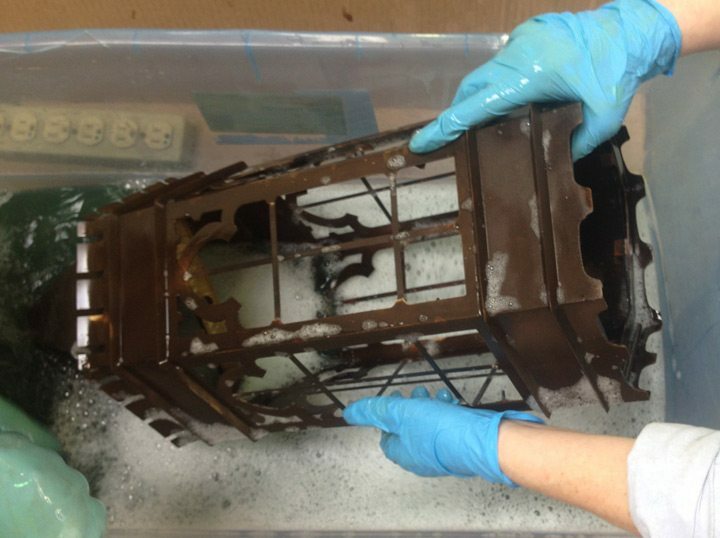 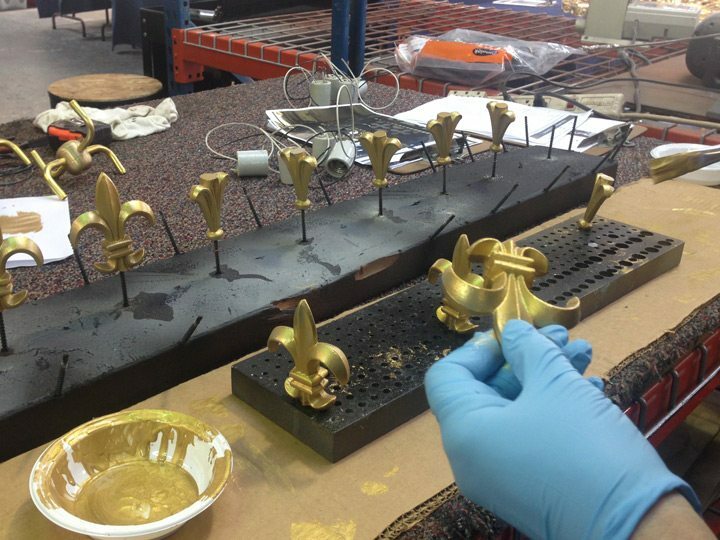 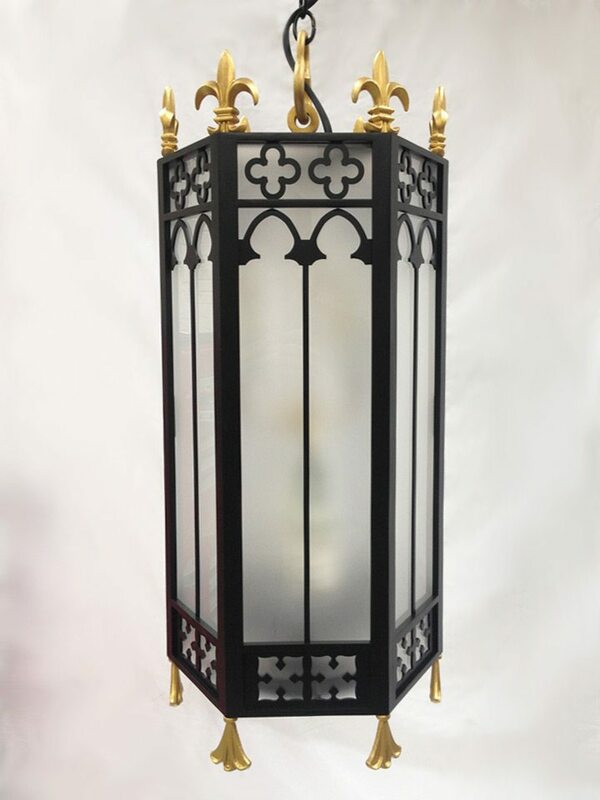 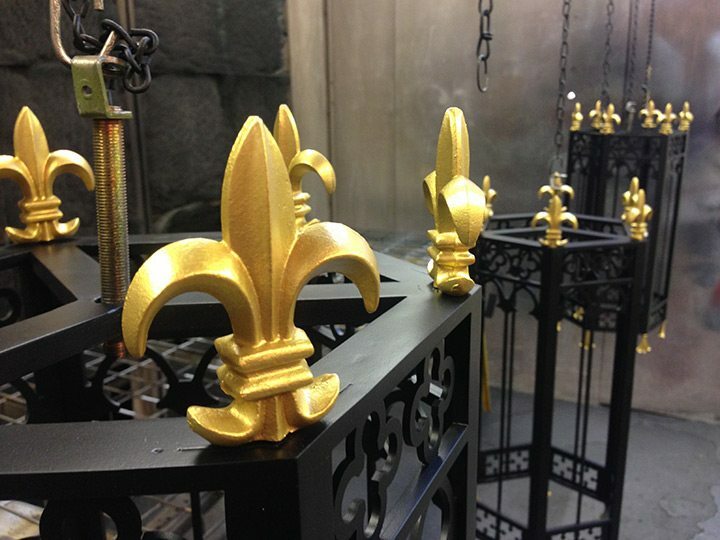 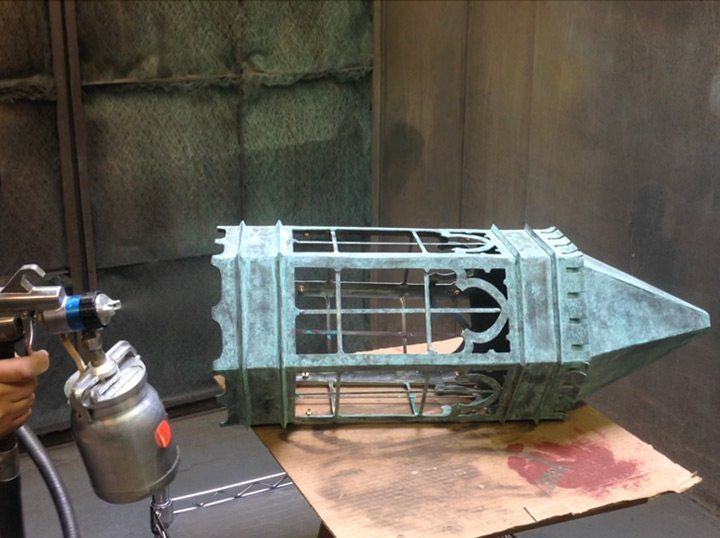 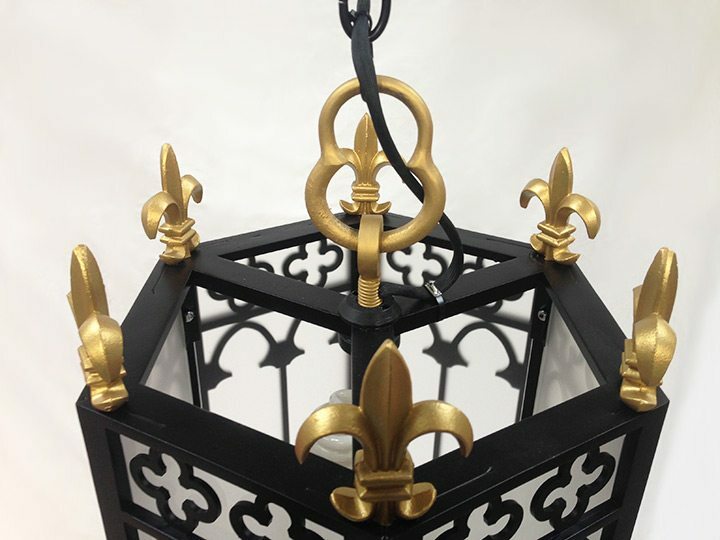 Grand Light artisans replicated every detail exact, even down to the use of bronze for the base metal. 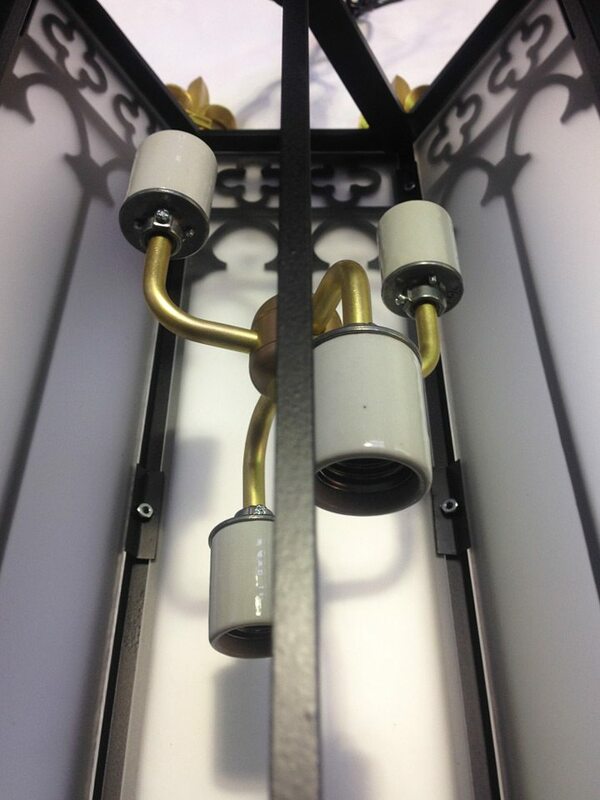 All fixtures were wired with UL listed components and tested in accordance with UL standard 1598. 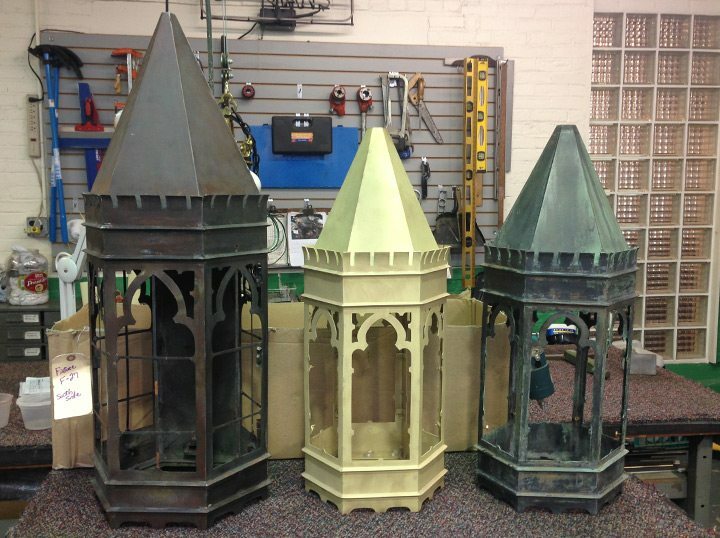 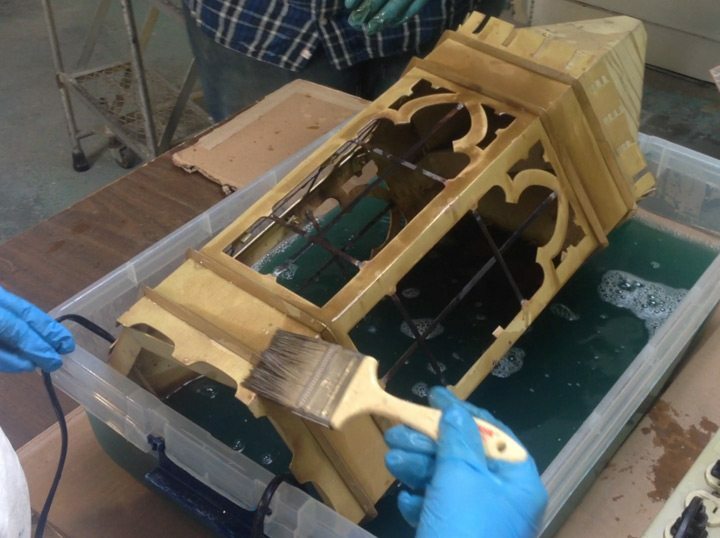 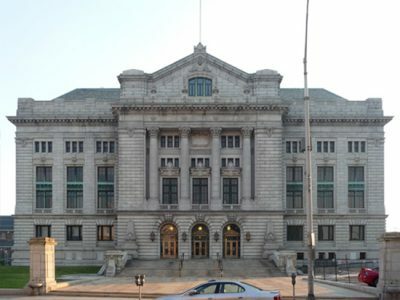 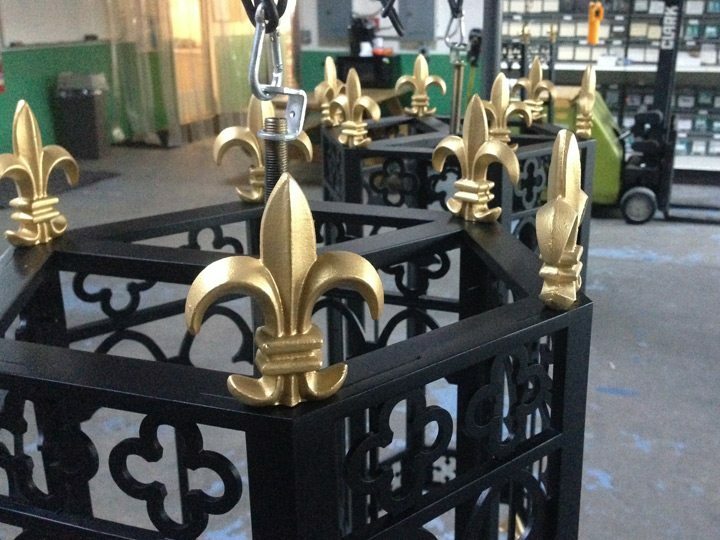 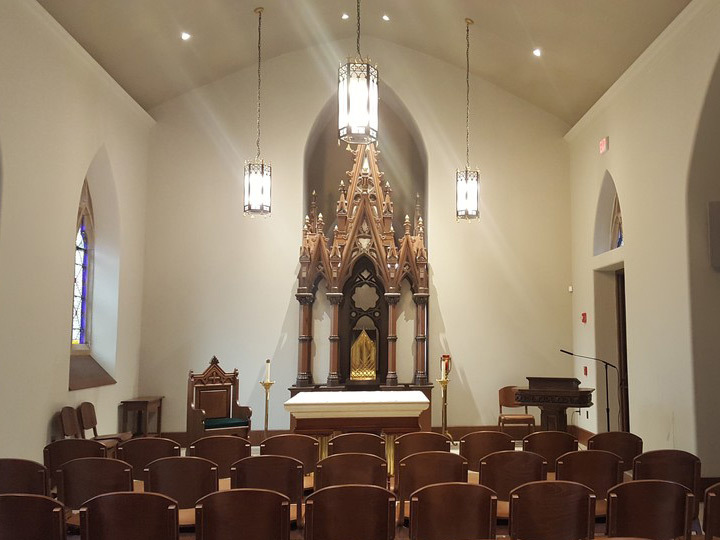 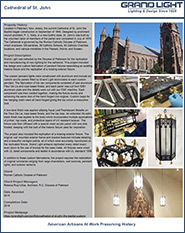 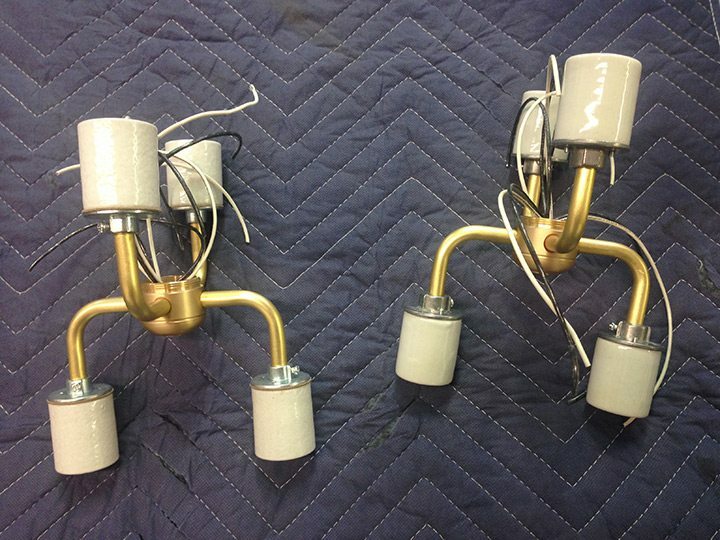 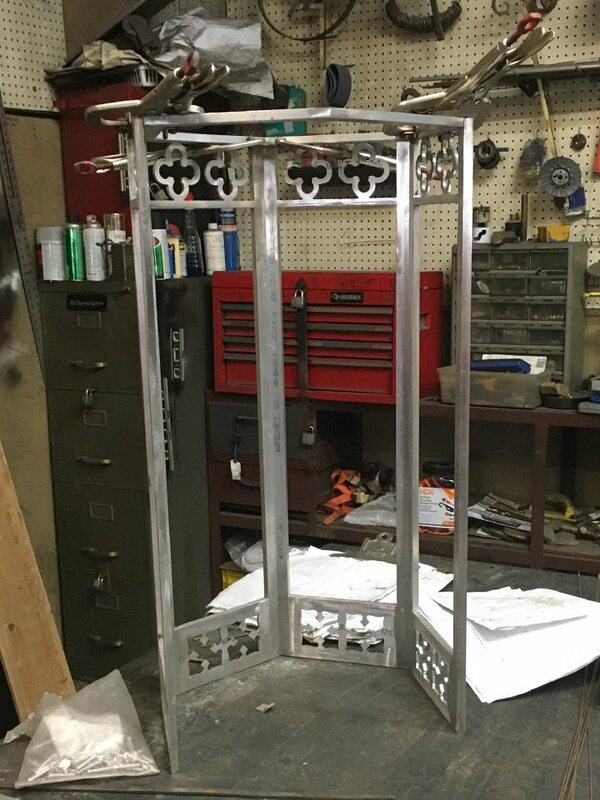 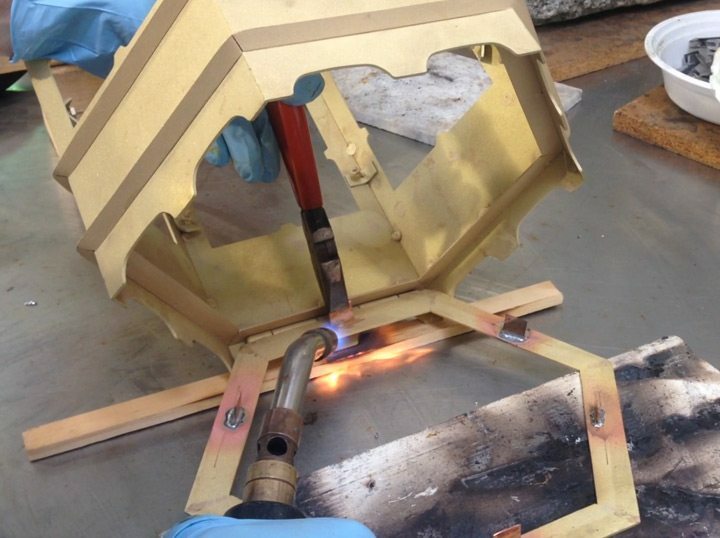 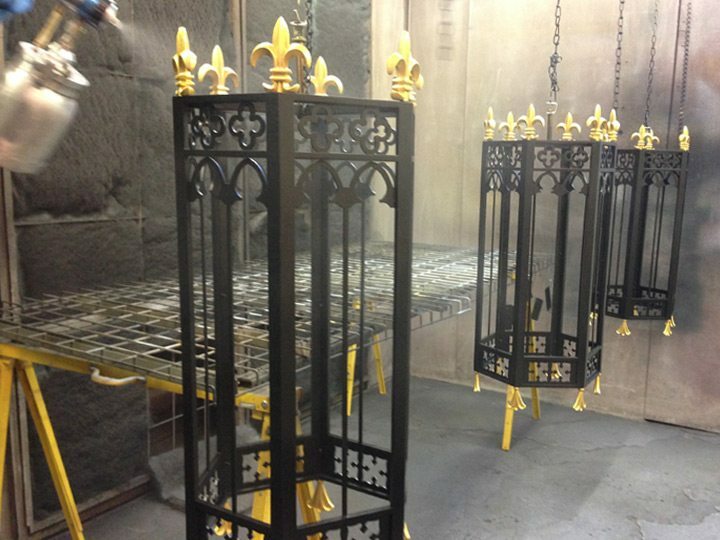 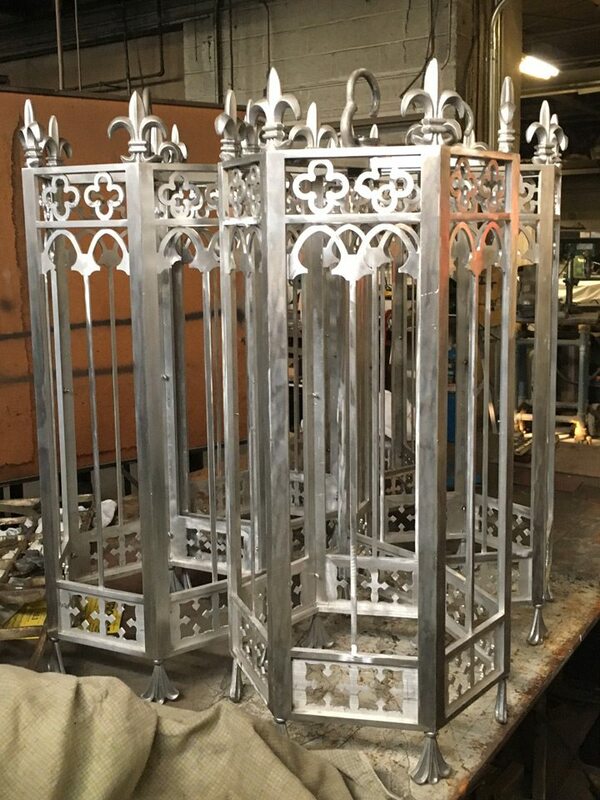 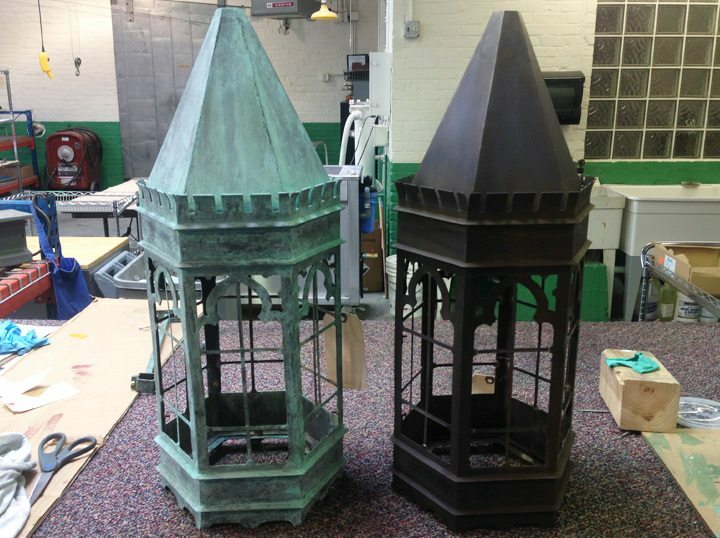 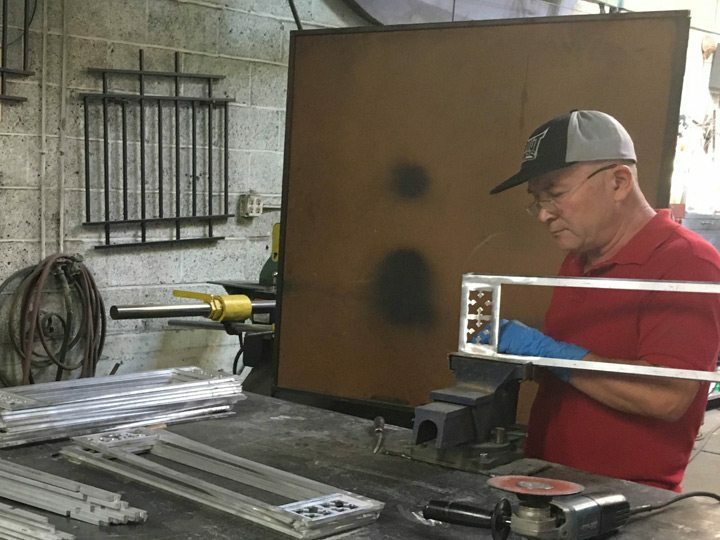 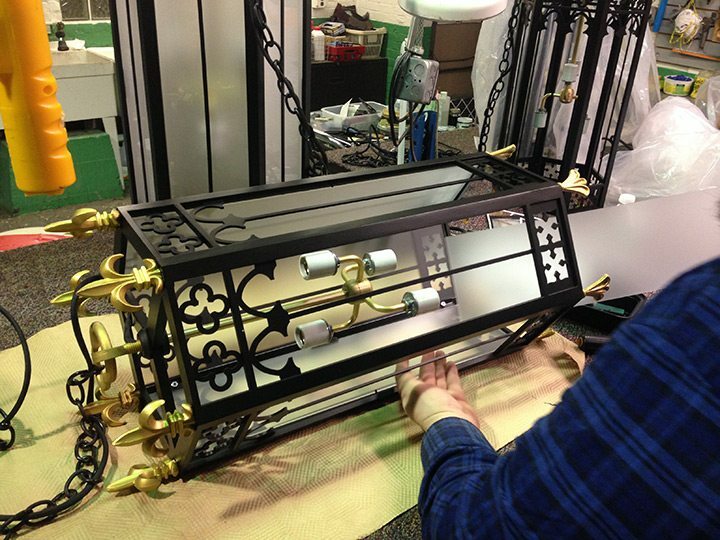 In addition to these custom fabrications, the project required the restoration of original luminaries ranging from large chandeliers, wall sconces, pendant lights, and exterior lanterns.